Information technology from past to present steadily gain the amount of data in the corpporate and personal computer system and all of these data need a properly back up plan. An image back up in another hard drive and cloud back up system are the most popular. Although backing up data on hard disk still faced with many problems such as virus or hacker attacks, human error, power outages, and loss of computer system or natural disasters. But due to the space limitation of cloud system, most data back up still using physical hard drive. Meeting the international standard is our business goal. In 2012, the company has started to develop its services standard. 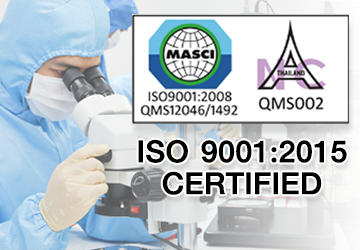 One year later we awarded ISO 9001: 2015 services certification by institutions MASCI and keep on the standard of services assessment every year. 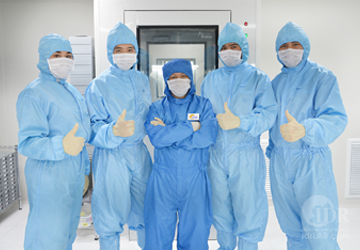 The recovery process that engineer have to open storage device inspects for physical damage or malfunction components, a bad chance for the tiny particles accumulate on the top of platters. When the hard drive turn on, dust particles that stuck between the platter and the heads will damage the platter surface and the heads. Instead of direct access to hard disk media for read and write data that increase the risk of destroying good data cause another problem to data recovery process. Our engineer copy an image of raw data from hard disk to separate storage then makes 2-3 attemps to reconstruct and recovery files. You may not know that hard disk with the same model from the same production line might have a different version of assembly parts. The replacement with different part may cause another problem to hard disk operation and the process of data recovery could not be done. We have to stock more than 4,000 items of interchangeable parts and components assure our service covering to various types and models of hard disk as possible including the old model of under 100 GB drive. 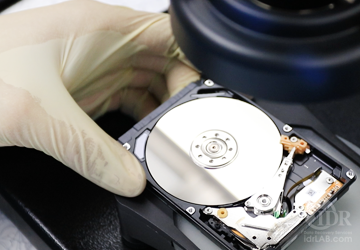 Our engineers and technicians have the knowledge and skill required to disassembly and reconstruct of the latest makes and model of hard disk including Solid State Disk. They drill down in details and complexity of all electronic circuits and firmware. They have been trained to analyze data with their concentration, attention to detail and careful. Unskilled staff may destroy good data from an attemp to recover data with software tools. To reconstruct data from an image sector data, technicians have to evaluate the condition of the data structure if any logicaldamage need to be repaired. If they could not used data recovery tools to analyze more specific in detail, led to an ordinary read and construction procedures. The results are sector read operation not complete, data unorganised and unusable, can not reconstruct and recover data file. So, data recovery technicians have to be keen on using any tools that suitable for individual case. The status of every steps through our Data Recovery Service, upon receipt of the signed Authorization Form. 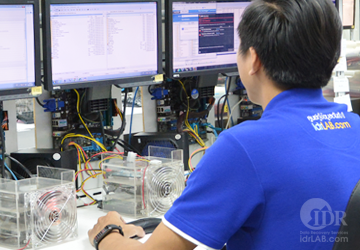 Engineers perform repairs and recover data by job assignment of pre-defined and strict procedures. 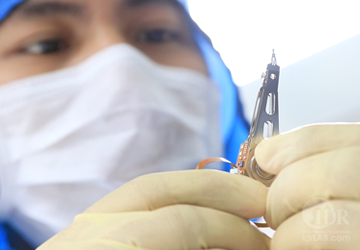 Parts replacement and the movement of storage media to each operation process are easily track and monitor. 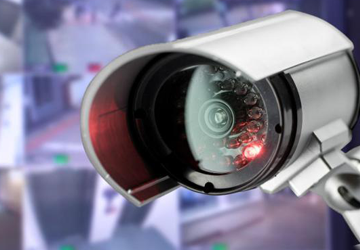 There are CCTVs to monitor staff operation in access controled area. Customer information privacy and confidentiality is our top priority. Customer will get a signed copy of non-disclosure agreement for their data and information. Our staff, engineers and technicians have to signed an agreement of customer privacy and confidentiality which is the most important and very strict practice guidelines.